Rainy Christmas Eve | Carnahan & Sons, Inc.
It’s a rainy day out there. We have a small chance that the temperatures may decrease enough through the day, so that the rain could turn to snow by evening. That would be a happy event… snow for Christmas! We learned that Philip is on his way from Portland this morning, and Ben surprised us by arriving last night! Gonna have the family all together tomorrow! Driving back from Vincennes yesterday, I noticed that there is still one field of corn to be harvested in the neighborhood. I just had not ‘seen’ that until yesterday. Guess I drive with tunnel vision most of the time. Probably, this field will require a freeze before it gets harvested! 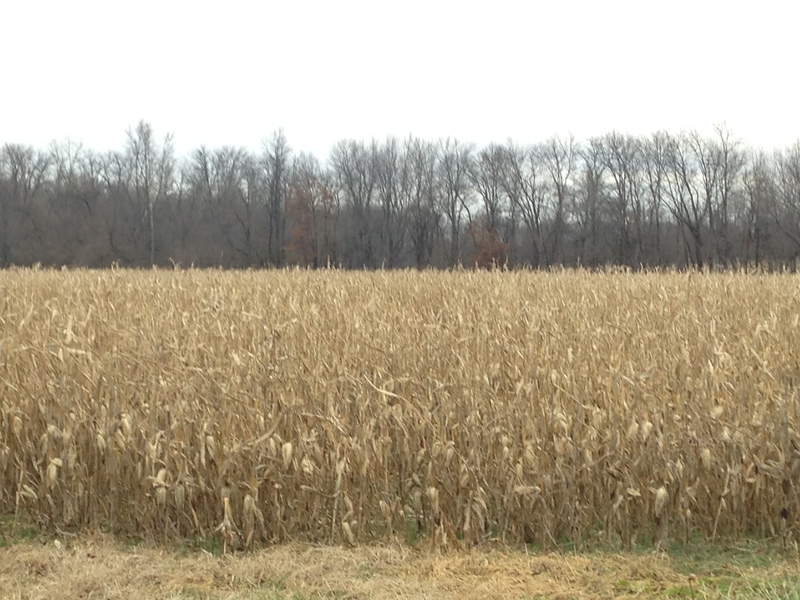 The last remaining 2014 corn field in the neighborhood. It will likely be 2015 before harvest arrives in this one! All of us here at Carnahan & Sons wish you a very Merry Christmas. May you be surrounded by love and hope and blessings. This entry was posted in Family Life, Farm Days, News and tagged Christmas 2014, corn harvest, family home at Christmas, rain turn to snow. Bookmark the permalink.